We just got the news about President Gordon B. Hinckley’s passing away today. We are very sad, but knew that this day would not be much longer in coming. 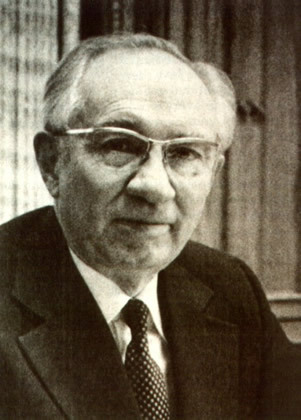 President Hinckley has of course been the prophet I remember best, and I remember the day that I received a personal witness that he was a prophet of God. Although I was raised in the LDS church, I went through of period of not-quite-but-almost inactivity during my senior year in high school. It was more for social and economic reasons than rebelliousness, however–I didn’t get along with the girls in my ward, and my job required me to work a lot of Sundays. Anyway, I didn’t really pay much attention to the leaders of the church at that time, nor did I watch conference regularly. Besides, President Benson was very sick and pretty much out of the public eye for the last few years of his life. So I never really got to know him very well as a speaker and leader. But after I began attending BYU I had a renewal of spirituality, I guess, right about the time that President Benson passed away and President Howard W. Hunter took his place. Because it happened right about the same time that I was going through a sort of spiritual awakening, I became very attached to President Hunter. He just seemed so loving and soft spoken, and I came to love him very much in the brief time that he served as president before his death. When he died, I was very, very sad, and I remember watching his funeral in tears, wondering if I could ever have the same feelings about the next president of the church. As I thought that, the camera moved to a shot of President Hinckley at the funeral, and at that very moment, I felt very strongly, not a voice, but a very firm feeling: That man has been called by God to be his next prophet. It took me by surprise, because I was almost resenting President Hinckley for taking President Hunter’s place, and the thought was sort of a reprimand. But it was very powerful, and unmistakeable that it came from the spirit. 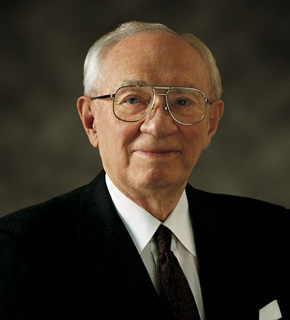 Anyway, since that time, I have come to know and love President Hinckley as our prophet. He has done a wonderful work in his lifetime, and has fought the good fight. We will miss him, but we all know that he was probably eager to take the next step and meet again with his loved ones who have passed on. He was a great man and we honor his memory.